Founded in 1997, Dallas Fort Worth Labrador Retriever Rescue Club is the largest Lab rescue organization in one of America’s largest metropolitan areas. Their life-saving services are known well to shelters in their corner of the world. And even though they take in as many Labs as their resources allow, they estimate that they are only able to save about half of the purebred Labs in the metroplex. They recognize their work is an uphill battle, and yet they remain wholly committed and enthusiastic about their endeavors. These are true heroes, and we sing their praises. Guided by an elected board of nine directors, DFW Lab Rescue is one of a growing number of American non-profits who operate without a permanent facility, instead relying on an extensive network of volunteer pet parents. Leading by example, they’ve been able to expand their volunteer ranks to over 130 active participants, who provide transportation, dependable shelter and devout and respectful care. Among our growing pool of Foundation recipients, DFW Lab Rescue has one of the shortest average foster periods prior to adoption at only 4-6 weeks. Many of these dogs, who are in various states of neglect and have survived on their own wits, now receive a whole host of veterinary treatments, including vaccinations, full health exams, spaying or neutering, nail trimming, heartworm testing and much more. Each pup is assigned a Veterinary Liaison who ensures that intake protocols are strictly followed, oversees any necessary veterinary treatments, and, of course, administers the doling out of oodles of hugs and kisses. Their volunteers provide more than top-notch care and shelter. In addition to grooming the pups in their protective custody for their new lives, they dedicate significant energies to educating the public about pet parenting with behavioral counseling, obedience training, the importance of spay-and-neuter programs and proper veterinary care. DFW Lab Rescue operates chiefly on private donations, although they do hold annual fundraisers to raise supplemental income, including a golf tournament and a 5K/1 Mile Run. Even on a limited budget, this non-profit has been able to accomplish a great deal on behalf of Labrador welfare. From 2010 to 2011, their adoptions rose from 122 Labs to 145, an increase of nearly 20%. And this year promises to be their best yet, as they estimate they’ll be able to place between 175-200 Labs. By December, they’ll be very close to achieving an impressive milestone of nearly 2,000 rescued Labs, many of whom likely would have been euthanized in local shelters. In March, they took in a litter of eight Lab puppies who had been abandoned at a North Texas shelter. Even though the pups appeared healthy, all eight fell ill immediately after taking up residence in a foster home. Rushed immediately to a vet, all but one were diagnosed with Parvovirus, a highly contagious and lethal disease which primarily affects the gastrointestinal system. Despite superior care, three of the puppies died from the devastating disease. Three others were hospitalized, receiving IV fluids and nutrients. 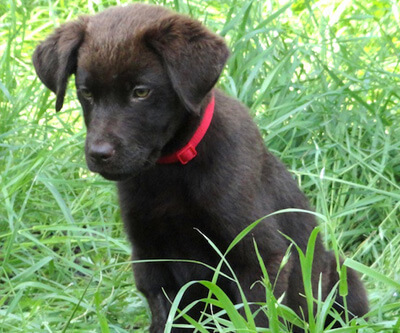 One Lab lost four pounds, a precipitous drop for a dog of such a young age. The five surviving puppies - Omar, Percy, Kaylie, Sarah and Barkman - are making a remarkable recovery. The rescue has every reason to believe these kiddos will be ready for adoption in a couple of weeks. Lisa Hyne, DFW Lab Rescue’s Executive Director, said, “Thanks to the generous grant from Dr. Jane's HealthyPetNet Foundation, we were able to provide these pups the extensive veterinary care they needed”. She added that these newly healthy pups were given “a new leash on life”, a phrase which captures the playful and caring spirit these amazing volunteers display while doing their extraordinary work. All of us here at Life’s Abundance send our personal thanks to this group for their dogged intervention on behalf of these purebred Labs. And, we’d like to convey our deep gratitude to each and every one of our customers - especially you individual contributors - who made this financial award possible. Thanks to your continued patronage, you helped to save these beautiful pups from a dire fate, making it not just possible, but likely, that they’ll enjoy full, healthy, happy lives. Remember, every time a Life’s Abundance order is placed, a portion of the profits is contributed to our foundation, which in turn awards these funds to rescues just like the Dallas Fort Worth Labrador Retriever Rescue Club. If you would like to show additional support to our foundation, you may do so when placing an order online or by sending a check to Dr. Jane’s HealthyPetNet Foundation, Inc. at P.O. Box 1425, Palm City, FL 34991. Even if you can only spare a dollar or two, you’ll be providing much needed aid to deserving pet-rescue organizations on the front lines of the fight to make the world a better place for companion animals. A happy ending for some of those precious puppies - thanks to the Dr Jane Foundation for all the great work you do! I always wondered about the difference. Thanks and great job with your blog!